Ben & Jerry's is rewarding its fans by asking for new flavour suggestions via Twitter for a one-off ice cream that will be delivered solely to the winning fan. 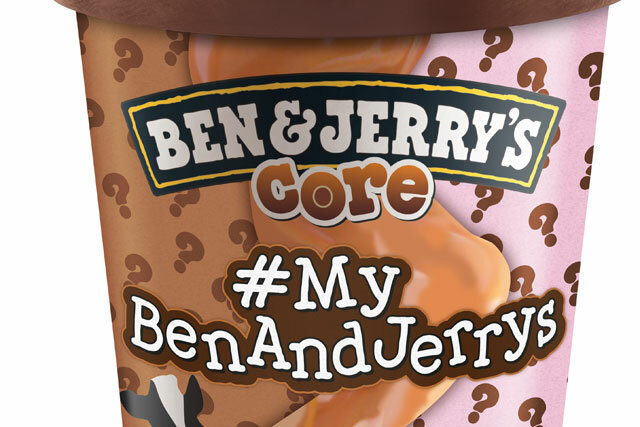 The Unilever-owned ice cream brand is encouraging consumers to Tweet ideas for a new core flavour, using the hashtag #mybenandjerrys. The core ice-creams, launched last year, feature two flavours separated by a soft inner core. The winning tweeter will be delivered a box of their creation in a one-off production run. A TV ad is also launching this week to raise awareness of the two variants added to Ben & Jerry’s core range this year; Peanut Butter Me Up and Blondie Brownie. The brand is known for its entertaining flavour names such as "Cherry Garcia" after the American band the Grateful Dead’s late lead guitarist and singer Jerry Garcia, and its annual act of renaming one of its ice-creams in support of gay marriage. Rhodri Morgan, senior brand manager at Ben & Jerry’s, said: "Ben & Jerry’s Core is currently worth over £15.64 million and we’re backing the range again this year with our TV ad and Twitter campaign. "Our digital activity will excite existing Ben & Jerry’s fans, while encouraging new consumers to engage with us on our Twitter platform by dreaming up their own Core concoction."